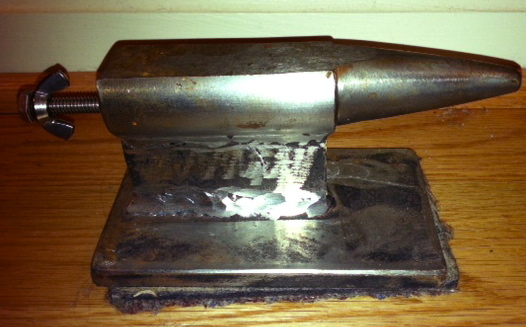 My Dad Made Me an Anvil–What Has Your Dad Done for You Lately? but Dad made many things, large and small. 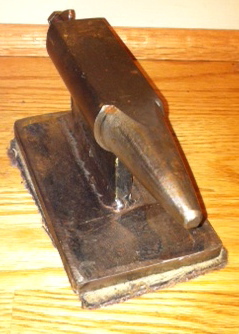 I thought I would pay tribute to him today by recounting one of the most amazing Christmas presents I ever received: my very own jewelry anvil. Handmade for me by Dad about fifteen years ago. Look at those markings on the base–it’s like art! Take a look at the photos of this stainless steel marvel. Not only was it handcrafted, cut and polished by hand, but Dad imagined my nascent jewelry career and anticipated what he thought I would need to successfully pound and shape delicate wire earrings. 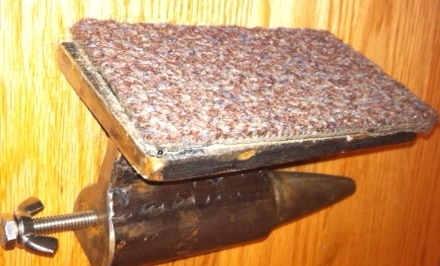 See the carpeting attached to the bottom–Dad’s solution to cushioning blows and keeping the sound down. thick industrial carpet, cut from who knows what salvaged item, ensures that all my blows are gentle on the ears and that the anvil won’t go flying! And the little airplane/butterfly screw on the end? 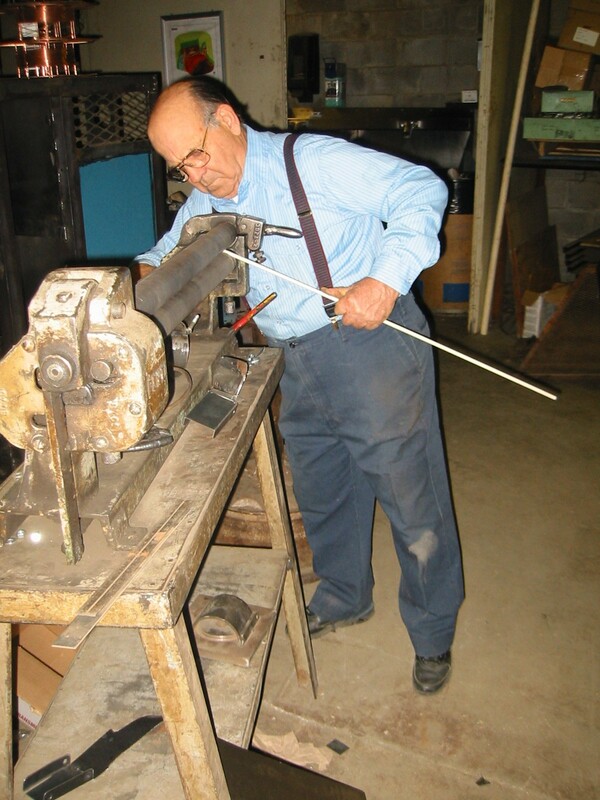 My own personal mechanism for twirling and twisting wire. He made me a tiny jewelry hammer as well, and a jig (with random holes for greater creativity) and a butane torch holder . Maybe he was just so excited that I had found a hobby that involved manipulating metal or that I needed lots of tools, but I like to think that he knew that my jewelry anvil would last forever and that every time I used it, a little bit of him would be infused in my art. 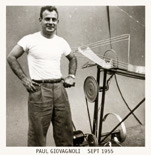 In the last few months of his life, Dad continued to invent things, even making his own rehabilitation tools. But the greatest thing he did–perhaps his best and final present–was to share with us till the very end his absolute love for his family, his faith in God, and his belief that if you just thought through a problem enough, you would find a solution. 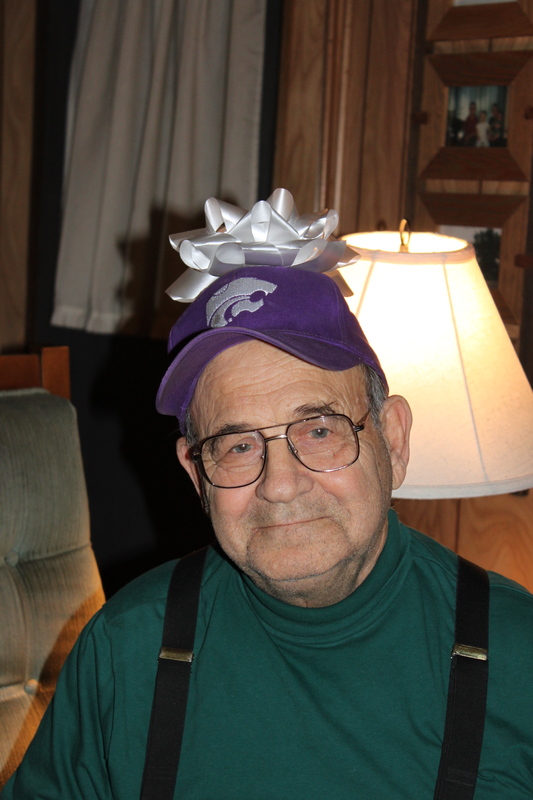 Happy Birthday, Dad–we love you! 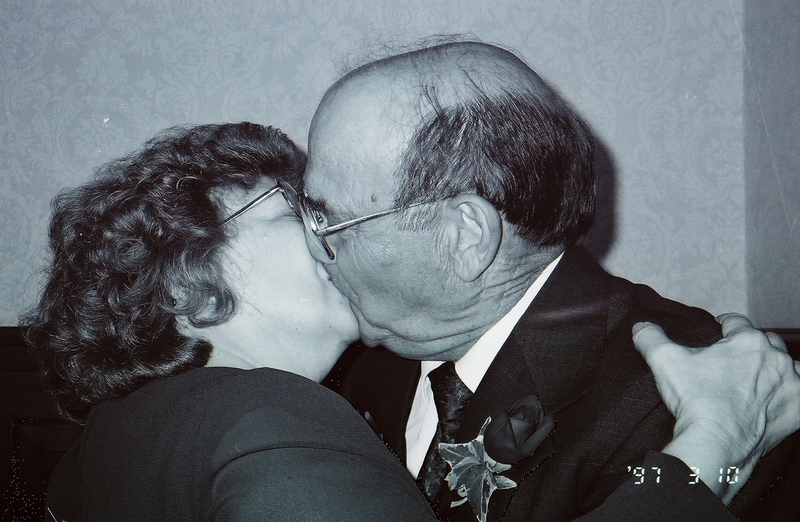 Mom and Dad were never afraid to show us they loved each other–another gift! 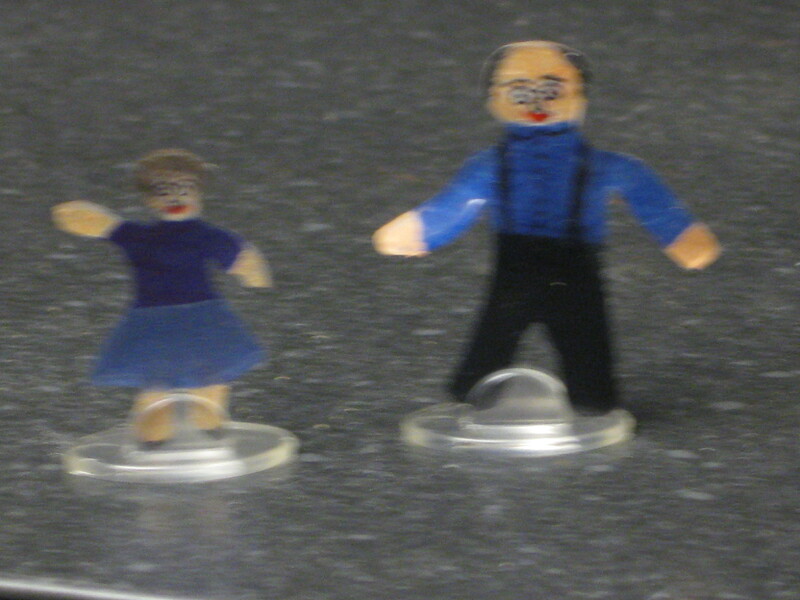 My mom is also very crafty–and you just have to love her couple’s self portrait in shrinky dink plastic!